Durable acrylic door provides visibility of contents and easy selection. A convenient organizer for valuable parts and supplies. Features fully adjustable shelf on 2" centers plus raised bottom shelf. Meets ANSI / BIFMA shelf standards. Shipped assembled. Handle requires some assembly. Available in 10 colors: Charcoal, Tropic Sand, Dove Gray, Putty, Black, White, Red, Blue, Forest Green, and Multi Granite. Non-standard colors available for an up charge. FOB Shipping Point. 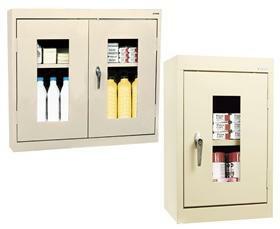 Clear View Single Door Cabinet - Includes cam door lock system. 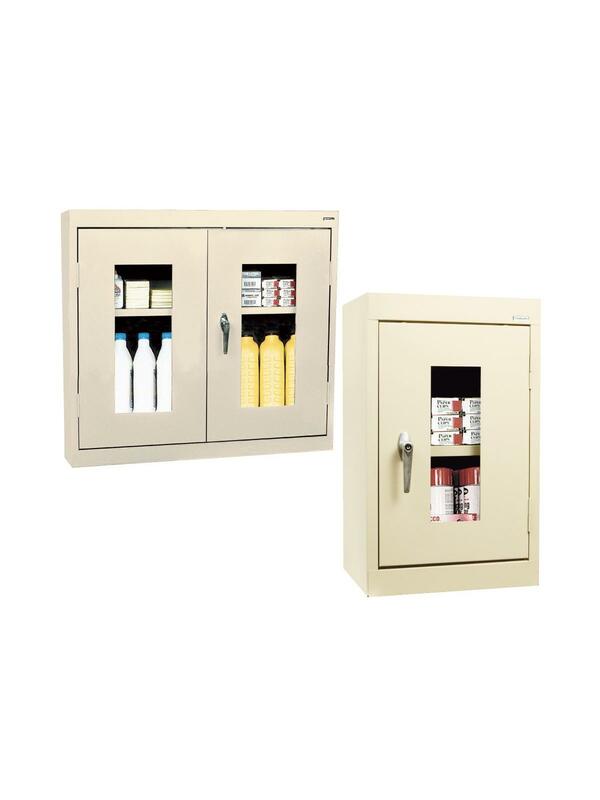 Clear View Double Door Cabinet - Includes 3- point door lock system. 30 x 12 x 26"30 12 26"